The latest article I came across on #millenials at Refinery 29 had a curious statistic: it now costs over $245,000 to raise a middle-class kid to the age of 18. 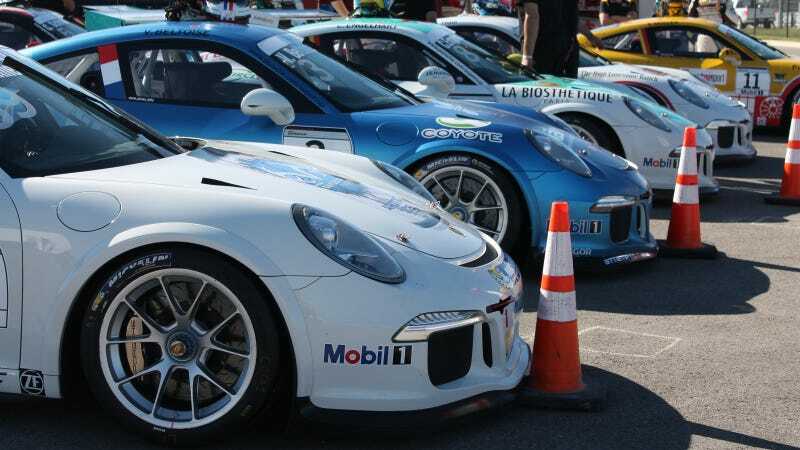 That's an interesting number because it only costs $243,273 (before tax) to buy a new 991-generation Porsche 911 GT3 Cup. Millennials aren&apos;t procreating because it&apos;s too cost-prohibitive. No offense to those of you called to pop out the kids, but I'm pretty sure I'd have more fun with the Cup car. Even used gear oil smells better than dirty diapers, and given how college costs are shooting up, hoo boy. Given that the figure only goes to age 18, college is going to be on top of all that. Even this year, the operating costs for a Cup car are starting to look downright reasonable compared to four years at somewhere like Baylor. In 18 years? Nuh-huh. Do not want. The article, of course, alleges that #our #generation (#hashtaghashtags) is waiting on kids because they're expensive. Surprisingly, it even alleges that we're being financially responsible in doing so. Should I not mention here that I'd just like to be financially irresponsible in ways that don't require me to stay at home a lot and/or change diapers (poop is kind of a dealbreaker here)? Parenthood just isn't something that calls to me in the way that say, Cup car ownership does. I'm not contributing to the worldwide issue of overpopulation if I get a 911 Cup, so consider it being responsible in other ways it you must. Really, though—think of the race cars before alleging that we're all a bunch of responsible human beings. I'm not saving up for a kid; I'm saving up for another Porsche-baby.